Up to now, we’re still seeing Neko Atsume: Kitty Collector continue its popularity on both Android and iOS platforms. 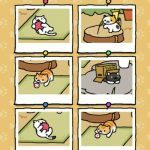 This game, as you probably know by now, is made by Hit-Point, and it simply involves the collection of different types of cats that may visit your home and your yard. Many of these cats are common ones that are easy to convince to come over to your yard, but there are also some rare ones that may require certain items, or certain types of food. 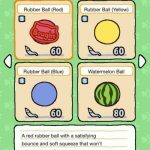 We already covered the rare cats in great detail, but what about the items that you can buy to attract cats to your yard, may they be common or rare? 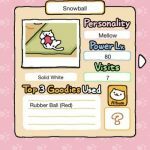 In this Neko Atsume strategy guide, we shall be looking at that exact topic – the topic of toys you can buy with your gold and silver fish, or miscellaneous items that are also available to purchase with that currency of yours. We mentioned the Cardboard Choo-Choo last time as an integral part of recreating a certain scene in Back to the Future. That won’t do much for your game aside from that it looks cool, but on a more practical note, it can house a maximum of four cats, and attract the rare cart Conductor Whiskers. You can buy the Cardboard Choo-Cho for 60 gold fish, which is quite a lot if you consider that gold fish are the premium currency, but it’s going to be worth it beyond simply being a toy that looks cool despite its silly name. The Cardboard House costs 40 gold, and will hold a maximum of three cats at the same time. It will also host Ms. Fortune, who, despite her punny name, is actually based on the Japanese mythical character maneki neko, or “beckoning cat.” That means she’s a very big tipper, though you’ll also have to watch out for her power level, which is near the bottom in Neko Atsume with a level of 20. That makes her easy to bully out by cats with higher power levels. Another item with a rather silly-sounding name, the Doughnut Tunnel will require silver fish, not gold fish – to be precise, it’ll cost 300 silver for you to purchase. This is a larger toy/structure that could accommodate a maximum of two cats, and while that might not sound like too many cats in relation to its size, the sight of two cats getting stuck in the tunnel could make for some much-needed comic relief in the game. You want the Heating Stove even if it costs 600 silver, because it’s a big structure that can accommodate three sleeping cats simultaneously. Furthermore, it can attract Chef Cat, who’s one of the rare felines we talked about last time. The interesting thing about this is that Chef Cat (a.k.a. Guy Furry) cooks a pizza on top of the stove, but doesn’t eat it or serve it to any of the other cats! What’s a Kotatsu? This item is similar to a table/futon hybrid that comes with its own electric heater. Given all its practical uses, it’s very popular with cats, and it’s large enough to attract up to four cats simultaneously. It can also attract a rare cat, Saint Purrtrick, who seems to prefer the Kotatsu more than others. Just be prepared to pay a rather premium amount for the item, as it’s going to cost you 60 gold fish. At the fairly cheap price of 25 gold, the Lacquered Bowl could be a good start if you’re looking to buy special items. Not only can it accommodate a maximum of two cats, it could also attract the rare cat Kathmandu. It is quite efficient as it doesn’t take up a lot of space, and once again, it’s not that expensive at all. The Tiramisu Cube, just like the Lacquered Bowl, is another good starter item. It’s also affordable, with a price tag of 28 gold, and it can likewise attract a maximum of two cats at the same time. In fact, the other cubes will all house two cats simultaneously, but you’ll want to prioritize the Tiramisu Cube because it’s cheap, and because it attracts the pseudo-rare cat Cream-san, a.k.a. Peaches. Why pseudo-rare? Well, Cream-San isn’t classified by Neko Atsume as a rare cat, but it has quite a low power level, making it rarer than just about every other common cat in the game. If you want to attract Cream-San and add her to your Catbook, then buy the Tiramisu Cube. Last, but not the least, the Zanzibar Cushion is the cheapest item in this list in terms of gold fish, as it costs just 20 gold. It attracts Xerxes IX, who, like Ms. Fortune, is a big tipper, leaving about 20 to 40 silver fish per visit. Take note that Xerxes IX is a rare cat, and the fact that he’s a big tipper makes him a great way to help you earn silver fish in the early goings. 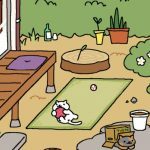 Want more tips and tricks for Neko Atsume: Kitty Collector? Be sure to take a look at our collection of tips and learn more about this addicting game.